I recently read an interesting book called “How to Blog a Book” which, as its title suggests, encourages well, blogging your non-fiction book. The premise of blogging a book works well for non-fiction, however I cannot see whether or not it would apply well to fiction writing. Perhaps with short stories, or shorter novelettes, but I cannot seeing it working over the thousands upon thousands of words it takes to build an average novel. In “How to Blog a Book” the author begins by addressing post length. Now, as anyone who has read my other posts probably realizes, I like longer length posts. Short posts and I do not get along very well. Thus, while my average post length is in the 800-1000 word range, this book recommends sticking in the 500 word range when blogging a book. The 500 word post practice makes a very easily read blog, and an easily skimmed book, the challenge for me is whether it gives enough depth for the reader, or not. Can one really cover, even a tiny portion of a topic, adequately in 500 words? I don’t think I’ve stayed within a 500 word frame since my first University Midterm papers were due…. Of course, the other challenge is that if you blog your book, you are putting roughly 90% of your content on the web, free. Hopefully your best 10% information, and the convenience will help your book sell, but still most of your information is then free on the web. Though from what I’ve seen, you can get a lot of information easily on the web, but people like convenience more. I found the book interesting, and useful in its content, if not directly in its advice. I would recommend this book if you are wanting to increase the solidarity of your platform, and/or to have an interesting and feedback-consistent way of creating a book. The one difference in the method of “How to Blog a Book” and the methods suggested by others is simple. Most of the others suggest “booking your blog” and drawing already written information and compiling that to form your book. In “How to Blog a Book” however, you outline and design your book, and then blog to actually write that specific book. While the disadvantages in having one’s information freely available online may be worrysome to some writers, there are also benefits. First, consistently blogging your book topic will establish your blog as an authority on that subject. This helps search rankings, and if people are interested in your blog as you’re blogging your book, then they will be interested in your book too. Second, it builds an audience that is already primed to buy your book when it is finally compiled and published. Your audience can also inform you of their questions, and any information that they would like to see included, which would make your book more valuable to your intended audience. 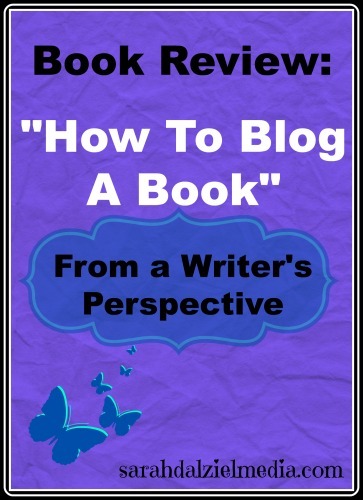 Have you ever heard of the premise of blogging a book? Do you think it would work for fiction as well as non-fiction? Why do you think that way? Leave a comment, I love hearing from you! Many of the links to products on this website are affiliate links to products or businesses that I recommend.